Time to upgrade your style game with a couple of slick accessories and jewelries just for men. 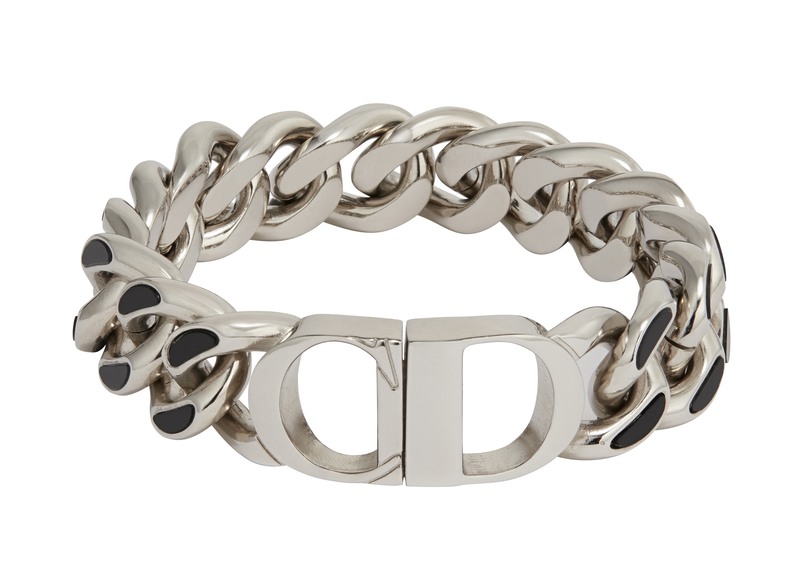 The Dior men’s jewelry collection for summer 2019 is unique for a couple of reasons. First off, it was designed by Yoon Ahn of Ambush fame, under Kim Jones’s artistic direction. The inspiration? None other than Dior’s rich heritage and influences from Monsieur Dior’s personal life. Take for example the “CD Icon” line: its bold silver initials were taken from the house’s rich archives, resulting in a fantastic line for the modern gentleman. Need a statement piece for your outfit? 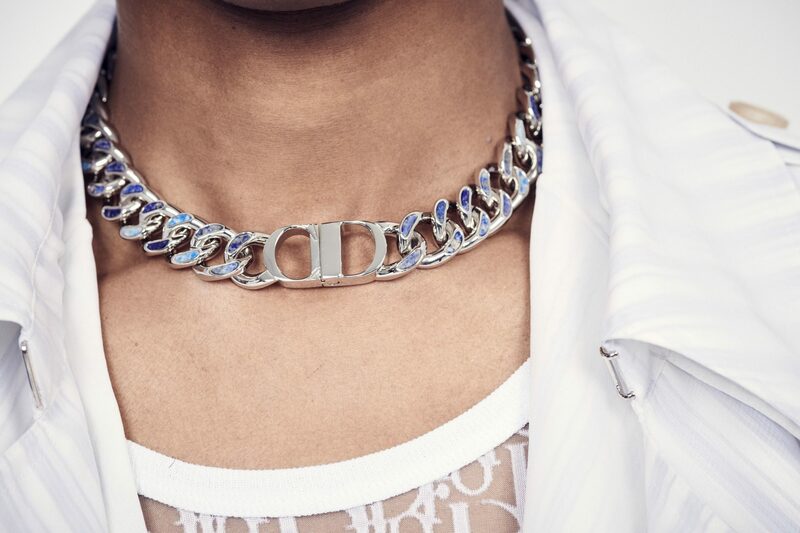 Check out the line’s chunky chain necklace with a magnetic “CD”. There’s also a “Colourful Dior” range, with a logo that was inspired by the Dior family’s business ventures in the 1920s. This collection features a unique brooch in fluorite and rhinestones, as well as a key chain in resin with onyx and fluorite detailing. 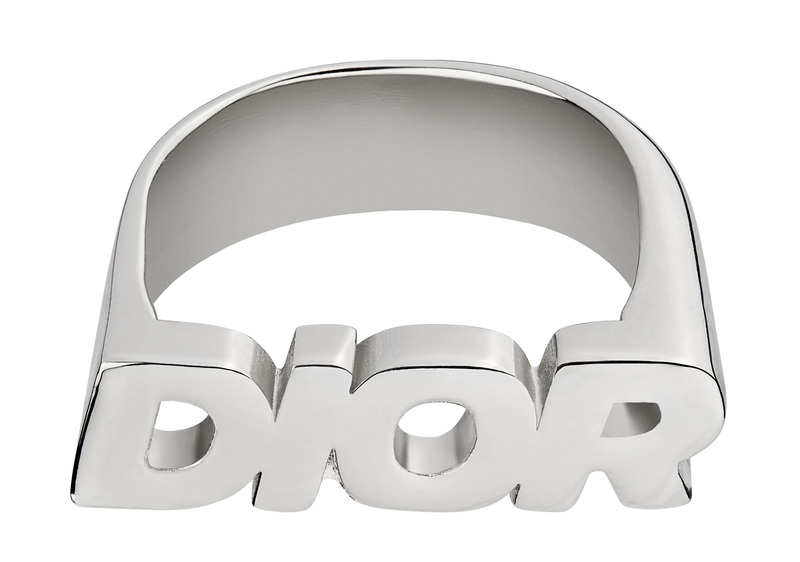 The artist KAWS has been a present staple since Kim Jones’s very first Dior campaign last year, and his influences can be viewed in the latest jewelry collection with Yoon Ahn too. Remember the giant KAWS sculpture constructed from flowers looming over the runway at the Dior Summer men’s show last year? There’s a replica of this in the collection; an exclusive metal perfume bottle that’s reminiscent of the original sculpture, which was a tribute to Monsieur Dior carrying his pet pooch Bobby. Monsieur Dior’s love for his pet inspired a couple more accessories in the collection too: a fluffy dog-shaped keyring and a sparkly crystal-covered bone. Yoon Ahn brings her expertise in streetwear design to the collection, while Kim Jones’s evident involvement can be traced to the pops of colour like vibrant crystal bracelets, a nod to his personal accessory collection. 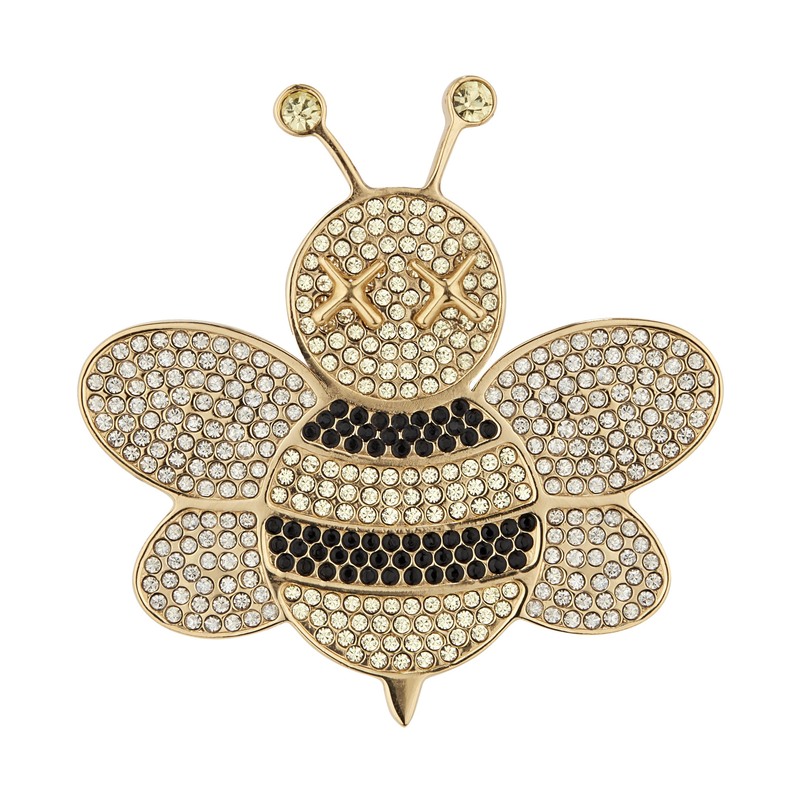 The signature Dior bee, as reimagined by KAWS, is brought back by Yoon Ahn, this time as a pin and keyring.